This book was an amazing contemporary novel that lived up to all of the praise I've seen around the blogging world. I generally have trouble getting into books with storylines about a character embarking on a "healing journey" to overcome the death of a loved one. I will admit that I often tend to find these stories both unoriginal and full of cliches. I was therefore hesitant about the plot of this book, in which Harper goes on a road trip to California as one last tribute to June, her sister who committed suicide. 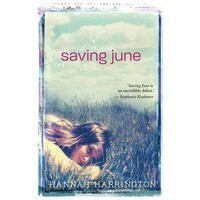 I need not have worried, though, as Saving June turned out to be an emotional and realistic story that I truly savored. I am a huge fan of road trip books and this story takes you on one alongside Harper, Laney (her best friend), and Jake (a boy who June had tutored). I loved all three of these characters, which made this story so enjoyable to read and made me dread the end of their road trip to California. I really sympathized with Harper because I appreciated that her character was not completely self-absorbed in her own grief, which is how I've seen many characters in similar situations act in other books. Laney was a wonderful, supportive best friend, and I wanted to give her a hug when she encountered some troubles of her own. Then there was Jake, a boy who was far from perfect but who I, like Harper, couldn't help falling in love with because he had a great heart. The sexual tension in this book was very, very high!I love to listen to music while I read and music is an important part of a road trip, so I was thrilled with how various songs were mentioned throughout the story and these songs blended in perfectly with the scenes. 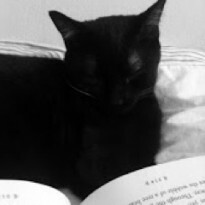 I found myself reaching toward my iPod to play the songs mentioned during several different scenes as I read, ranging from the Beatles to the Beach Boys to Jimi Hendrix. Listening to the same music as the characters did made this a very fun reading experience and helped connect me with the story more than I think I've ever connected with a story before. I also really loved exploring new artists and songs that I've never heard of before. The first third of the book was kind of slow for me, but I couldn't put the book down once they began their road trip. This book is memorable and I see myself rereading it again, especially during summertime. I can't stop thinking about this story and my iPod is very happy that I have filled it with some great new music!